Sadeghpour, M., Najafpour, G., Rad, H., Hosseini, B. (2010). Effect of Sludge Recycle Ratio for Improvement of Sewage Treatment, in Ghaemshahr Textile Plant, a Bench Scale Model. 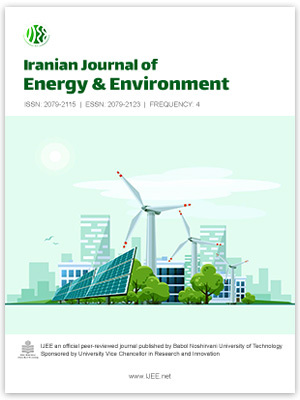 Iranian Journal of Energy and Environment; previously called: Iranica Journal of Energy & Environment, 1(1), -. M. Sadeghpour; G. Najafpour; H.A. Rad; B. Hosseini. "Effect of Sludge Recycle Ratio for Improvement of Sewage Treatment, in Ghaemshahr Textile Plant, a Bench Scale Model". Iranian Journal of Energy and Environment; previously called: Iranica Journal of Energy & Environment, 1, 1, 2010, -. Sadeghpour, M., Najafpour, G., Rad, H., Hosseini, B. (2010). 'Effect of Sludge Recycle Ratio for Improvement of Sewage Treatment, in Ghaemshahr Textile Plant, a Bench Scale Model', Iranian Journal of Energy and Environment; previously called: Iranica Journal of Energy & Environment, 1(1), pp. -. Sadeghpour, M., Najafpour, G., Rad, H., Hosseini, B. Effect of Sludge Recycle Ratio for Improvement of Sewage Treatment, in Ghaemshahr Textile Plant, a Bench Scale Model. Iranian Journal of Energy and Environment; previously called: Iranica Journal of Energy & Environment, 2010; 1(1): -.